Click on the red cluster circles to zoom in, or on the individual pins for more information. 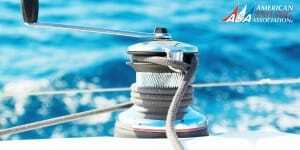 Directory of American Sailing Association sailing schools located in Puerto Rico where you can take beginning to advanced sailing lessons. A short ferry ride from mainland will take you to Isleta Marina where our school is located, we are close to many beautiful venues, El Yunque Tropical Rain Forest, excellent restaurants, and beautiful beaches. 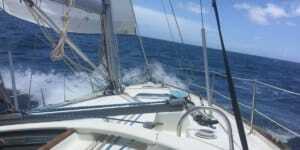 Enjoy your Learn to Sail vacation with us, there is time to learn and explore the East Coast of beautiful Puerto Rico, including Culebra and or Vieques. 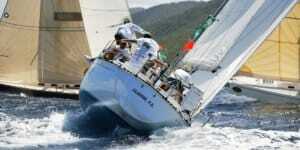 US Coastguard licensed Instructor, Coastguard inspected sailing boats.” Bienvenidos!! Puerto Rico Sailing School is located in Isleta Marina in a small island in Fajardo, half a mile from shore on the beautiful east coast of Puerto Rico. Our location is surrounded by many tourist attractions and is walking distance from hotels, inns & other accommodations.